“For me, China is the land of opportunity," Israeli entrepreneur Fani Bar told Calcalist in an interview in March. "Only here can I open a bottle of wine at a restaurant and have someone walk up to me and order 300 bottles. In China, you never know where the next big thing will come from." In October 2016, Ms. Bar, who first arrived in China to serve as the Director of the Israel-China Chamber of Commerce in Beijing, founded All in Wine, a Beijing-based wine marketing company, now employing a team of four and servicing hundreds of clients. 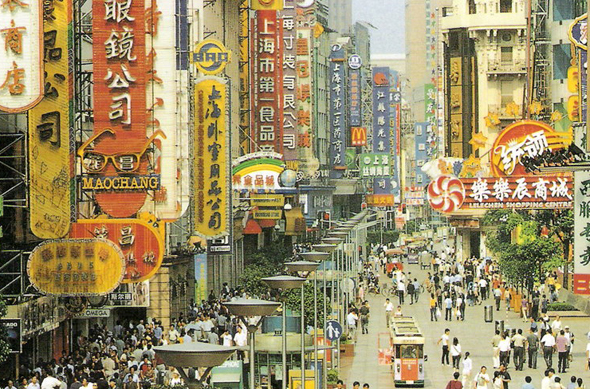 China is the world’s second-largest economy, but the community of Israeli entrepreneurs there is still in its infancy. Language is a serious barrier, and without it, launching a business could be even more challenging than usual. Even the Israelis active in China often find it easier to pursue foreign clientele. But despite the many challenges, the Chinese economy offers unique advantages, from the relatively low initial investment required to malleable regulation and a bubbling entrepreneurial atmosphere. "Sometimes the bureaucratic systems work slowly, but your brain is always working here, and there are new fashions and ideas forming constantly,” Ms. Bar said. Ms. Bar said that female entrepreneurs find it more challenging to run a business in China. “The Chinese do not see women as authoritative, and it is harder for a woman to earn the trust of the Chinese customer,” she said. "You need a lot of patience." In 2008, after graduating with a degree in Economics and East Asian studies from the Hebrew University in Israel, Ilya Cheremnikh landed in Beijing with the purpose of continuing his studies of Chinese. But the outdated method in which Chinese universities taught the language frustrated him. So he decided to establish a language school and teach Chinese in a more contemporary and communicative manner. Today, his school, Culture Yard, has been active for eight years, employing 20 Chinese teachers. “I think China is a great place to start a business," Mr. Cheremnikh told Calcalist. "Prices did go up in recent years, but it is still relatively cheap to get started here." Mr. Cheremnikh had only 100,000 yuan, worth approximately $16,000, when he was starting out. "When I went to register the business, I received an unreasonable list of demands, including published textbooks, 500 square meters of office space, and at least two million yuan," he said. once he made clear that there was no way he could meet the requirements, a clerk recommended he register his business as a cultural center rather than a school. "Many people use agents, but I did it all by myself to save money, and it helped that I tried to speak Chinese,” Mr. Cheremnikh said. As part of the bureaucratic process, Mr. Cheremnikh had to become friendly with the neighbors. “I had to get their signatures to get my business approved. So I visited each of the neighbors to convince them to sign. At one point I gifted each neighbor with a crate of coke." Mr. Dahan and his wife are now hoping to open up a second store, and are scouting for locations. “In malls, you are committed to keeping the place open 365 days a year, from 10 a.m. to 10 p.m. It’s not easy,” Mr. Dahan said. Mr. Kapshuk said the best advice for foreign entrepreneurs in China is to respect the locals. “Some Westerners arrive with an air of general superiority, and that is easily felt. Us Westerners have a lot to learn from the Chinese.” Mr. Kapshuk said that entrepreneurs should strive to balance their own way of doing things with the local way. “As a foreigner or an Israeli, you may have your ideas about what to put on the menu and how to run the business, but you may often be told that this is simply not done in China," he said.